Last updated June 2016. I’m now on Instagram if you’d like to follow my career as a professional classical dancer. Upon being offered my place at the Bolshoi Ballet Academy, I thought very carefully through my options before making my final decision. Acceptance would take me a long way from my home, familiarity and family; although ecstatic at the offer, I was, quite naturally, hesitant. Augmenting my indecision was the fact that there wasn’t much information to go on either, leaving me to trust in the Bolshoi’s reputation and the advice of my teachers at Bristol Russian Ballet School who convinced me that Russian training would be a great benefit to a career as a classical dancer. In light of my own experiences, I thought it would be helpful to provide a whistle-stop guide for anyone out there interested in training here at the Bolshoi Ballet Academy. 1. One year Traineeship or three year Diploma? A Traineeship is a one year course which consists of ballet, character, acting, make up, gymnastics and modern classes plus lessons in the Russian language. The Diploma is a three year course which consists of all of the vocational classes plus duet class and academic subjects. You are required to successfully complete the Traineeship in order to be invited on to the Diploma. All classes and lessons are taught in Russian. The Academy prefer international students to do the Traineeship first to evaluate your potential and also so that you can learn Russian before starting on your academic studies on the Diploma course. Some international students are, however, offered a place directly on the Diploma. At the end of the Diploma you will have reached the standard of: speciality – choreographic art, qualification – ballet dancer. The cost of training at the Academy is 17,000 euros per year although the exchange rate of course impacts heavily on how much you pay in your own currency. The fee covers the costs of vocational training, academic studies, food and accommodation at the Academy. It is less if you do not opt for the academics to be included. Entry is via application form and video. There is no official deadline date for the August start. There is link to the Academy’s website which tells you how to apply here or you might find it easier to access the information from the Academy’s blog for international students here. 4. What is the training like? I have some great teachers here at the Academy. All the teachers have fabulous CVs and most of them previously performed in top companies. Marina Leonova, our Rector, was a renowned Russian dancer with the Bolshoi Ballet Theatre. From start to finish on the Diploma, you are taught by mostly the same teachers for three years. Student ages range from nine to twenty and we train in the Vaganova method. Classes take place in one of the 20 studios; all with high ceilings and windows so they are light and airy. The floors are all raked. Classes take place Monday to Saturday with Sunday free. The week consists of: daily 1.5 hr ballet classes, 2 x 1.5 character classes, 2 x 1.5 hr rep classes, 1 x 1.5 hr duet class. 1 x 1.5 modern class, 2 x 1.5 hr acting class and 2 x 45 min gym class. On the Traineeship we also took a make up class each week. At the end of each year you are examined in your respective subjects, culminating in a mark given from one to five. Russian training, at its most fundamental level, focuses on flexibility and turn out. It really is the best training I have had; my technique and flexibility have improved since I came here and I would wholeheartedly recommend it to anyone considering a career as a ballet dancer. The other, most important point, is that the teachers here really help you to believe in yourself. They are very direct but everyone is given the best opportunity and is nurtured; if you work hard, you can really develop yourself and your confidence here. 5. Are international students treated differently? As an international student you have to be prepared to prove your worth; there are Russian students here that have been training within these walls since they were 10 or 11 and whose progress the teachers have followed through the years. It goes without saying that they, therefore, attract the majority of attention. In spite of this, it’s perfectly achievable for the international students to demonstrate their abilities if they possess the required amount of determination and good work ethic. Female international students are generally taught in a separate international class although some are placed in the Russian classes. There are no international classes for male students, so all male international students are trained in the Russian classes. The international students come from all over the world; there are students here from America, Japan, Portugal, Italy, Spain, South America, China to name a few so it’s a very international experience. A significant plus of training here presents itself in the fact that, as well as absorbing the Russian culture, you are able to learn about lots of other cultures too. 6. Is there a guide on weight? There is a height and weight chart in the contract that you will be asked to sign. It’s true that here in Russia they like you to be slim – and they will tell you if you are too big – often in front of everyone in the class! It’s part of the directness that you just need to be aware of and become used to. They do not, however, expel students on account of their weight unless they are also not working hard or not making progress. They will also tell you if you are too thin and they view this as harshly as they do if you are too big; you can lose marks in your exams if you are too much one way or the other! 7. Do you study academic subjects? Academic classes start in the first of the three Diploma years. All academic classes are taught in Russian which is actually a big help as it really does improve your language abilities. The academics are largely made up of arts subjects such as history, history of culture, history of ballet, history of theatre. We also focus more briefly maths/ IT, sciences, geography and citizenship. You will be expected to pass the State Russian language exam in the second year of your Diploma and the Diploma is awarded at the end of your third year, alongside the dance Diploma for vocational studies. Each of the academic subjects are examined and, again, you are awarded a grade, one to five, at the end of each year. 8. Do you have the opportunity to train with other teachers from outside of the Academy? To top up the excellent training from our regular teachers, the Academy often brings in external teachers and schools to choreograph work with us or give us an insight into different training methods. So, for example, Nacho Duato and the Wayne McGregor Dance Company, Random Dance, have carried out sessions with us. 9. Are there opportunities to take part in performances? The Academy holds performances at least twice a year, in Winter and Spring which our teachers encourage us to take part in. You may be selected to rehearse a solo variation or group piece, or have something specially choreographed for you by one other teachers or even Bolshoi Ballet Theatre company members. All those that perform are selected via an audition that takes place a couple of days prior to the actual concert on the Academy’s theatre (where the concert itself is also presented). This, we are very lucky to have as a resource, as it is huge with seating for over 400 people. The Academy also puts on a ballet each year – normally in November. This is usually performed at the Bolshoi Theatre on the New Stage. Again you are selected to take part on the basis of auditions. Rehearsals are quite intensive in the run up to the performance and you will need to be prepared to attend even if you aren’t selected for the first cast. It’s hard work but worth it if you are selected and are given the opportunity to perform on the Bolshoi Theatre Stages! The Academy is also often invited to perform with other schools in galas and other similar events – so we often partner up with American Ballet Theatre Studio Company, La Scala, Theatre Opera Rome, Hamburg Ballet School and the Vaganova Academy, for example. The Academy hosts such events, but some of the students also fly out to similar gala performances in other countries. 10. What’s the Academy’s approach to summer schools? The Academy hold their own summer school in New York. It is a six week summer intensive and you can find out about it here. You are encouraged to continue your training over the holidays in order to keep in shape. 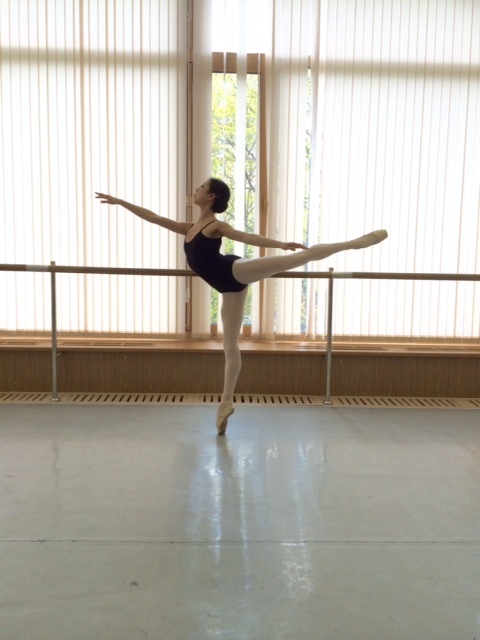 I’ve attended a range of summer schools and intensives including Prague International Ballet Masterclasses (see my review here), Vaganova Master Classes in Finland and the Royal Ballet Summer School (see my previous post here) in London. 11. Do you have the opportunity to go to the theatre? One of the great benefits of being a student at the Academy is that you can use your student card to acquire very cheap tickets for Bolshoi Theatre performances. You often have to make do with seats high up in the theatre, sometimes with restricted views, but this is arguably beside the point when considering the quality of productions you are being given access to. Whilst I’ve been here, I’ve been fortunate enough to see many performances including: La Bayadere, Coppelia, Paquita, Spartacus, Swan Lake, Giselle, Jewels and the Pharaoh’s Daughter. I’ve seen many great Bolshoi dancers such as Svetlana Zakharova, Evgenia Obratsova, Anna Tikhomerova, Artem Ovcharenko, David Hallberg and Olga Smirnova. We also have another great company here in Moscow, the Stanislavsky Ballet Company, who are also of very high standard. I even got to see Sergei Polunin perform in Coppelia which I wrote about here. 12. What is the accommodation like? The accommodation for international students is on the third floor of the Academy. It is above the studios on the second floor and the administrative offices on the first floor. All of the Academy has been refurbished over the last two to three years and is modern and clean. The building is set around a quadrangle; there are some large areas in each corner and along some of the corridors for socialising and also stretching and practising. It’s very rare to walk along the corridors without passing students in strange positions stretching out their muscles! Each room has facilities for three students. There is a large window at one end so the rooms are considerably light and there is plenty of wardrobe space, a desk and a side table. There is a washing room where you can do your laundry and also shared shower and toilet facilities. 13. What’s the food like? I was told a vegetarian diet would be difficult to maintain in Moscow, however, I have managed to eat very well here. There is a canteen at the Bolshoi Ballet Academy, though I, personally, prefer to make most of my meals. Invariably, I do have to be fairly creative, as there is only a microwave in the kitchen area of the boarding floor. I have my own fridge and freezer which I keep in my own room – I purchased it at a good rate from one of the graduates when they left. I source most of my ingredients from the three main supermarkets in Frunzenskaya – all within walking distance – and one or two other shops that are a short metro journey away. I have also found some wonderful vegetarian restaurants – Cafe Jaggernath and Fresh are my favourites. You will also find a range of international restaurant chains and coffee shops such as Le Pain Quotidien and Starbucks – plus Russian ones such as Му-му (Mu Mu), Шоколадница (Shokoladnitsa) and Кофе-хауз (Coffee House). 14. How do you set up internet and wifi connections? There is limited wifi in the boarding area, so you have to source the best deal for what you need in the many mobile phone shops in Frunzenskaya. The staff in the shops are mostly very helpful, however, you do need to take a fairly fluent Russian speaker with you and an 18+ year old to sign the contract. Wifi and internet are really cheap here in Russia. It’s super fast so I can Face Time and Skype back home regularly each week. Topping up your phone and wifi connections can be done at little booths dotted along the high streets. Wifi is also freely available in every coffee shop and many other places in Moscow. 15. What are Moscow and Frunzenskaya like? The Academy is based in Frunzenskaya, just four stops on the Metro from the heart of Moscow. It’s a residential area and the Academy is located just two minutes walk from the main high street where you will find a good range of supermarkets, restaurants, coffee shops, mobile phone shops and other facilities. It’s safe although we are encouraged not to go out on our own. 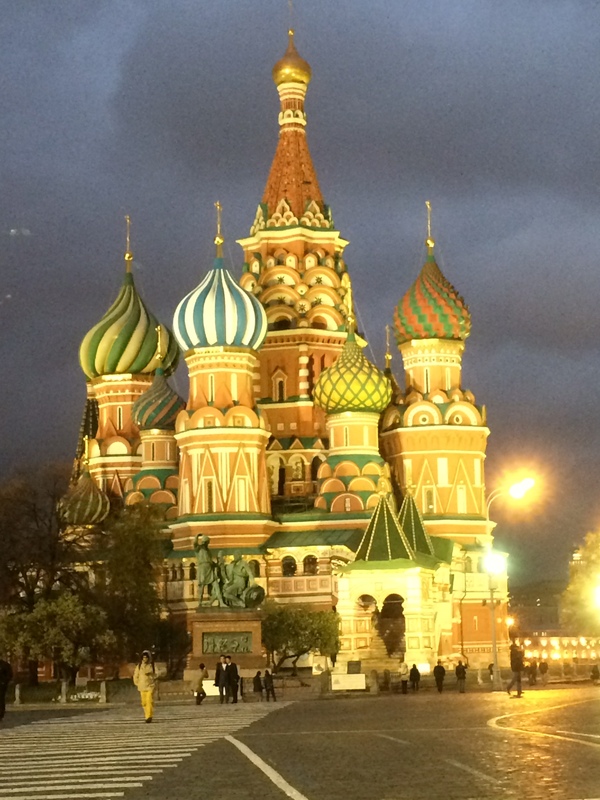 I love every part of Moscow that I have seen so far. There are some extremely iconic, must-see sites and I love discovering new places. I wrote about my favourite places to visit here. 16. What’s the weather like? To be honest, it does get incredibly cold in the winter; the coldest I have experienced so far is -26 degrees! It’s absolutely necessary to cover up every part of your face and body with lots of layers and walk very quickly to where you are going. It also snows a lot any time from November through to February. The Russian authorities, however, have a great system for clearing the snow, so nothing stops; we all just carry on doing what we need to do regardless of the snow which can get very deep, very quickly. In the spring it becomes very mild – from about April onwards it will be 10 degrees plus and in the summer you can walk about in shorts. It gets very hot. In August, when I start each new academic year, the temperatures are also very mild but they soon drop in November. 17. What currency do you use? The currency is roubles. There are cash machines within very close proximity to the Academy. I have a pre-paid currency card (Caxton) that my Mum tops up for me in the UK so I work to a budget and draw out what I need each week but don’t get charged for each time I use it. 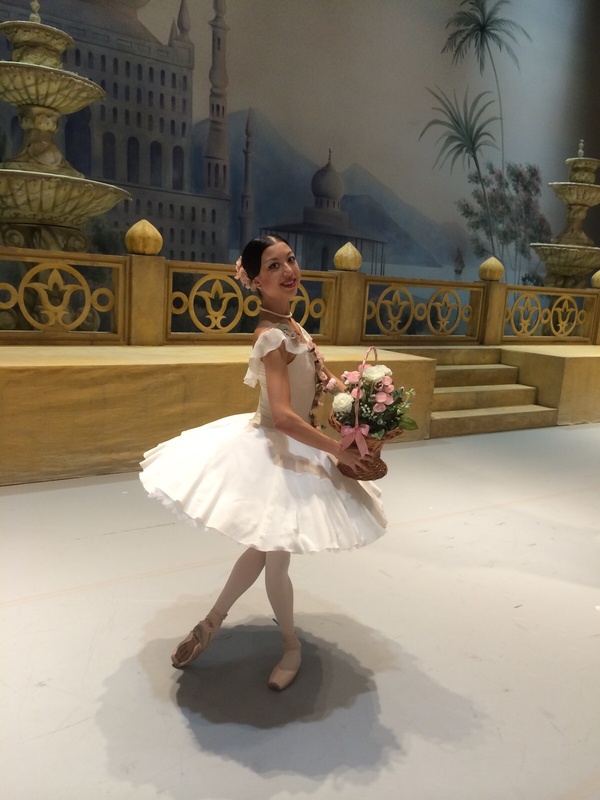 In June 2016, I became the 3rd Brit female student to graduate from the Bolshoi. I have written a separate post detailing the history of British students at the Academy – you can find this post here. One of the things you will have to grow used to is the press and media fascination with British students at the Bolshoi. I, along with most of the other British students, have had documentaries and news stories produced and written about our choice to train here. I was featured on the One Show but turned down several requests to be part of bigger documentaries. It can be very exciting though any involvement with documentary type features does require time and effort. The five minute feature that the One Show did about me took days of filming to produce! Well I think that’s quite a bit of information for now; I hope you find it useful! If there are any areas that I haven’t covered then please contact me and let me know; I’d be happy to up date this post or answer your questions directly. Thank you for reading! Go over to my Instagram if you’d like to find out about my career as a professional dancer. Thank you, Monica – yes, please do share on Facebook! 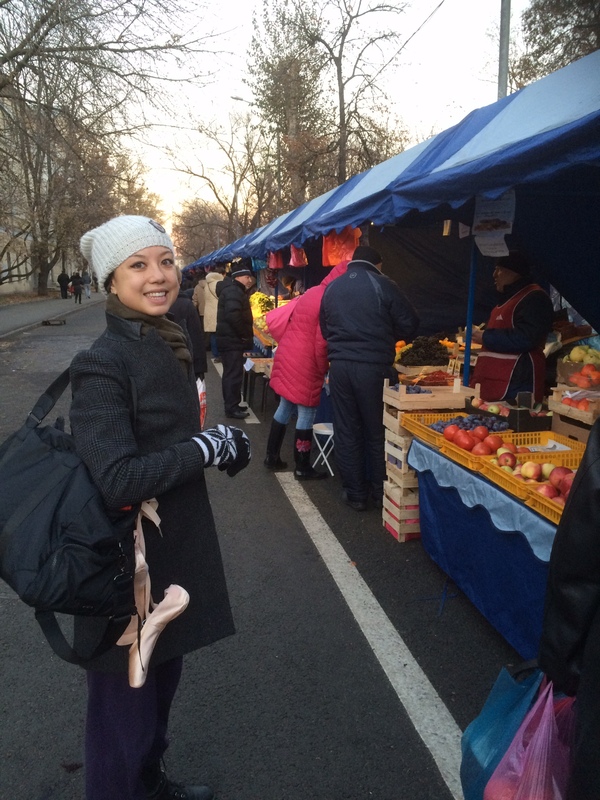 When I was younger we did not have internet – so it was almost impossible to get this sort of insight into life at the Bolshoi for a UK student . Thank you for giving your time to write this for all of us , it is fascinating. I certainly will , I am sure this must be such an inspirational read for so many students and so helpful for anyone hoping to do the same as yourself. Don’t feel you have to reply to much – we all know how busy you must be and really appreciate the time and effort you put it to write this. It was wonderful how you shared all your information and thank you! My daughter participated last summer in the Bolschoi intensive in NYC and loved it and wants to move there already to study. She will be 11 this summer. Has taken Russian lessons since the summer. What kind of tips can you give her and is it realistic that she apply? Thank you, Kathryn! I’m glad you found the information useful and its lovely that your daughter has so taken to the Russian style. My tips would be to keep working on flexibility and core strength; this is key to Russian style training. Also, you have to be determined and focused if you want to take up classical dance as a profession. This involves lots of hard work and sacrifices; particularly if you are thinking of moving to another country to train! International students tend to come to the Academy at ages 14/ 15/ 16 – there have been some exceptions but these are few. It’s worth contacting the Academy if you think your daughter has the kind of potential that the Bolshoi is looking for. A good measure is to ask the teachers at the Summer Intensive, if you are intending to go again this summer, as that is how most of the American students get invited to attend the full-time school. Hi I loved reading your blog ! I can’t seem to find much information about bolshoi ballet academy else where so is it fine if i ask you a few questions ? First thing was until what age can you audition for bolshoi academy ? Then I was wonder is possible to decide to only do the traineeship year or do you have to do the diploma as well and lastly what is the standard or the people in the traineeship year? Hope I’m not a bother thanks !! Hi it’s fine to ask questions! Part of the reason for writing my blog is because I found it so hard to find information when I was first considering applying! I auditioned at 16 for the traineeship programme – but there were students of 14 also in my class as well as some that were 18/19. You can also audition to start earlier in the younger classes. Lots of students just come for the traineeship year – you don’t have to go on to the Diploma and sometimes traineeship students are not offered a place on the Diploma. The standard is very high. Thank you for sharing this well written and thoughtful information! You stated that academic classes start in the first of the three Diploma years. How did you pursue academics during the traineeship programme? I appreciate your time and wish you all the best! Hi Lynda – thank you very much! In answer to your question, all of the academic classes are taught in Russian so we had to spend the traineeship year learning the Russian language alongside our dance classes in order to prepare. Some of the international students do online courses from their respective countries during the traineeship year (and some continue to do this on top of the Diploma). We continue studying Russian language alongside other academic classes during the three-year Diploma and sit a formal state exam in the second year. It is then optional to study Russian language to advanced level in the third year of the Diploma. Sorry I just had another question, hope I am not a bother!! I am 15 (today is my birthday in fact) and I am in year 10 school in Australia, year 11 starting in January. I was just wondering whether I should be applying for the traineeship or the diploma? I have friends who I met at the intensive who are my age and going into first year diploma so is it based on age? Also I am a full-time ballet student here (meaning I don’t go to school, I do school online and train 9-3 Monday-Saturday then more night classes from around 5-8) if that has any influence on what I should be applying for 🙂 Your help is much appreciated! Hi Lily – no worries, it’s not a bother at all. Access onto the traineeship or diploma isn’t based on age. I started on the traineeship at 16 which is a natural break in the education system in England so made sense for me. There were one or two students as young as 14 and one or two that were 19 and 20 but most were around 16/17. Generally, international girls are placed in the traineeship year so that you become accustomed to the training and also learn the language ready for more intensive training on the diploma and academic classes – all taught in Russian. Some girls do get placed straight onto the diploma but this is an exception and generally means that the Academy thinks these girls can cope with the diploma straight away. I got a lot of value out of the traineeship – it really brought me up-to-speed with Bolshoi-style training and I think I was better prepared for my academic classes having had a year to learn the language first off. The Academy will decide where to place you though so even if you say you would like to start on the diploma they will make the decision. Thank you so much for your advice! Your blog has been such a help as I found trouble finding much information regarding the application process etc so thank you!! Hi Lily – yes, I think it might be best to put that you are applying for both – they will decide for you anyway. I’m happy to have a look at your video – you can send me the link on here or if you want to do it privately send it via the contact page on the blog and it will come to me as direct mail. I just wanted to tell you that I got in!! They sent me an email just a few hours ago that I have been accepted into the Bolshoi Ballet Academy!! Thank you for all your help!! I have accepted and if I can get a visa in time I will hopefully be there in the first week of this November!! Hi Allison – there isn’t really a deadline date for applications and they are generally very quick at getting back to you. I applied in February and heard back the same month. That was for a start in September. The Academy year starts on 1st September every year and that’s when most students start, subject to visas being sorted. Ok, thank you so much for all the tips. I will let you know when I send in my video! Does the Bolshoi (Or Vaganova) Russian academies ever give full or partial scholarship to foreign students with all the natural facility (height-weight proportionate by their standards, good turn-out, pretty feet on hyperextended legs, high extensions, upper body elegance and expressive arms and fingers) and who are technically well-trained already in Vaganova curriculum outside of Russia by age 13 or 14? What is the best age to enter either of these two programs in terms of maturity? Do you have to speak some basic Russian already to be considered for the Russian program instead of the international program? Hi – I can only really comment on the Bolshoi as that’s where I’ve had experience. I’m taking that by “full or partial scholarship” you mean the traineeship and diploma programmes as there isn’t a scholarship? In my first year (traineeship), there were students with ages ranging from 14 – 20, some of whom then were selected to move onto the three year diploma programme. I think any younger than that and students may get put into the lower school classes. I started on my traineeship year when I was 16 – that’s because it fitted in well with the UK education system and we have a break at 16. Not everyone has basic Russian – but you do learn very quickly once you get here as all of the teachers and the staff in the boarding area only speak Russian. Speaking Russian, however, isn’t a determining factor for being placed in a Russian or International class – the decision is based on technique and facility. There are only ever one or two, at most, international students in a Russian class, however. The training and exams are identical for international and Russian classes. Hi Regina – thank you, I’m glad you find my blog interesting! Don’t worry about having perfect technique – they will look for potential as well. My tips would be to keep working on flexibility and core strength; this is key to Russian style training. For the audition, try and show exercises that will give them chance to see your strengths. They’ll be really interested in turnout, as that’s a major part of the Russian technique, and upper body posture is really important too; we’re always taught to pull back our shoulders and have a definite eyeline. Thank you so much! 🙂 If you don’t mind me asking, what are your tips for turning? And what is your favorite and least favorite part about studying at the Bolshoi? Hi Regina – turns are something that I have had to work on too. It’s really about your coordination. I’ve really broken down the mechanics of the turn, thinking about and working on each individual aspect in isolation and then focusing on putting them all together so that they happen at the same time. My favourite part about being here – oh, there are so many, it’s difficult to choose! From a dance perspective, I’ve been pushed and stretched (literally) to the limits of my ability and beyond in order to perfect my technique. I have benefited massively from this and am not sure I would have made such progress elsewhere. I also love the fact that I get to see the stars of the Bolshoi perform regularly with cheap student tickets to the theatre! And I love the fact that I can now speak Russian fluently and have absorbed, not only the Russian culture, but cultures from many parts of the world from the range of international students here at the Academy. My least favourite part is being away from home and only getting to go back twice a year 🙁 It’s also a very tough, six day-a-week training regime here; you have to be committed to stick with it, particularly if you are injured or don’t get picked for performances. It can be hard on your morale when you work so hard! And, of course, it gets very cold in the winter (-26 degrees), so I try to stay indoors or hurry if I’m going anywhere if the temperature gets that low! Hello. My daughter was accepted into the year round program. However, I am concerned about the weight requirements. Must the student lose weight, and have their been students that haven’t? What happened to those who didn’t lose weight? Thank you. Hello! I think it’s really amazing that you wrote down all those informations, it’s so helpful! And also your journey at the bolshoi is amazing! I read your blog for a while now and you are quite a big inspiration! I also would love to study at the bolshoi ballet academy but have so many questions before and am a bit concerned if I’m good enough..
Maybe do it is possible to contact you and ask you private for advice and send you an audition video? Keep up your good work, I’m excited to see where you’ll dance in future. I wish you all the best of luck and never forget how far you’ve made it! Hi, how is the supervision at the school? Are girls allowed to leave the school ? Hello. Do the Bolshoi Academy students get discounted tickets to the Bolshoi Theater? If so, how do they go about getting the tickets? Thanks Again! Hi there – yes, students (any students) can obtain tickets directly from the theatre by the box office. The process is sometimes a little convoluted, however! You have to queue, on the morning of the performance you would like to see, and put your name on a list. Normally you have to be there quite early in the morning to stand a good chance of getting a ticket. I generally used to try about midday though because you then have to hang around until the box office then lets you know how many on the list can have tickets (this varies) which they generally do about 4:30pm! I wrote about this process in one of my posts – it’s quite frustrating but worth it when you get to see a great performance. (The seats are always up in the upper circles though). So it’s a long time to wait, unless you can take turns with your group of friends. Sometimes teachers are able to obtain tickets for certain performances too so it’s just a case of getting to know! Hi Tala! Thank you so much for posting this blog post it’s incredible! I just have a couple of questions. I’m an international student that lives in London. Now follow me on this one: I’m 12 years old and I’m in Year 9 (British system) because I skipped a year and am born in September. I’m trying to do my GCSEs next year and my A-levels the year after that (basically skipping half of 6th form) because my parents want me to finish school before I go to a ballet school. So, if you finished school, will the Bolshoi Ballet Academy make you do the whole thing again in Russian? Because I’m a quarter Russian and speak Russian fluently (I can write and read but not well however I am working on it). Could you ask or find out or maybe tell me who to email or ask please? Also, is it possible to get into the school at 16 years old and still be eligible to get into the company (it’s okay if you could just answer the first part of this question)? Or maybe be put with all the 15 year olds? Thank you answering these questions because they truly mean a lot to me. Hey! I was wondering if there are any holidays without ballet-training and how long do they last? Hi! I have a question about the academics… what were the classes like? Were they really hard? If you got bad grades, would they kick you out of the school? Hi, I love your blog! The information given has been so helpful. I actually applied to the academy for the 2017-18 school year but I haven’t heard back yet. How long do they usually take to respond, and if not accepted, will they send an email stating so? Hello! I am now a dancer in the bolshoi ballet academy! It is my first year. Do you know what we will be tested for exams for internationals? I have different leg type from the rest of the dancers which means I am bow legged(knees are turned inwards along with my hip bones which prevents me to be more flexible in middle splits and turn out). Do you know if we will be tested on Russian? I really hope you explain what we will be tested on especially flexibility and other classes like modern and historical. Thank you! Thank you for explaining it to me. I also have another question to ask. I’m the weight chart it says I have to be like 39 kg which is like 88 pounds or something for my height(159 cm) I don’t know how to become that skinny! I am almost near 110 pounds, I also have bad metabolism. Do you have any tips for me losing that much weight fast before the exams? Also, because of the weight chart, I am completely scared if I don’t lose any weight because it’s very hard for me to lose weight. I’m not tall either so the weight requirements are more intense for me. Thank you, I have one final question. What happens if you don’t pass the exam? My daughter and I are inspired from you. 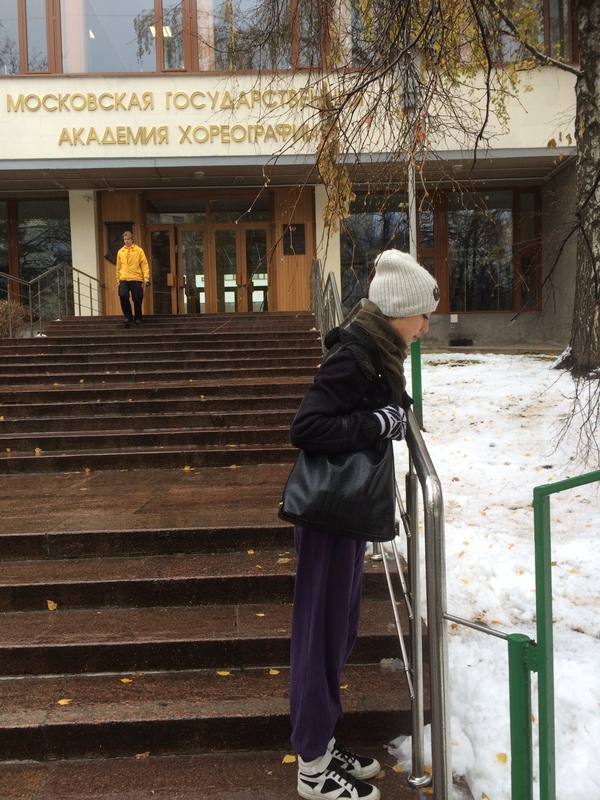 After reading your story, my daughter decided to follow your step to Bolshoi on last October. Currently she has a problem in Russian language learning. She speaks English. She is suffering in Russian vocabulary and grammar now. Can you have some suggestions to her? Thank you. Hi there – thank you for reading my blog. I found Russian a hard language to learn aswell. It took me about a year to feel like I could have conversations in Russian so I think it’s early days for your daughter still. I found the best way to improve my language skills was to speak Russian as much as possible, with my teachers and when I went out to the supermarket, restaurants or theatre. The more conversations I had with Russians, the better my spoken Russian became. I hope that helps. Hi! I am also very interested in auditioning for the Bolshoi year around and have already contacted another student training there right now. Your links are very helpful but I was wondering if you knew the exact email and documents to send everything too. What did you do and how did you go about auditioning?